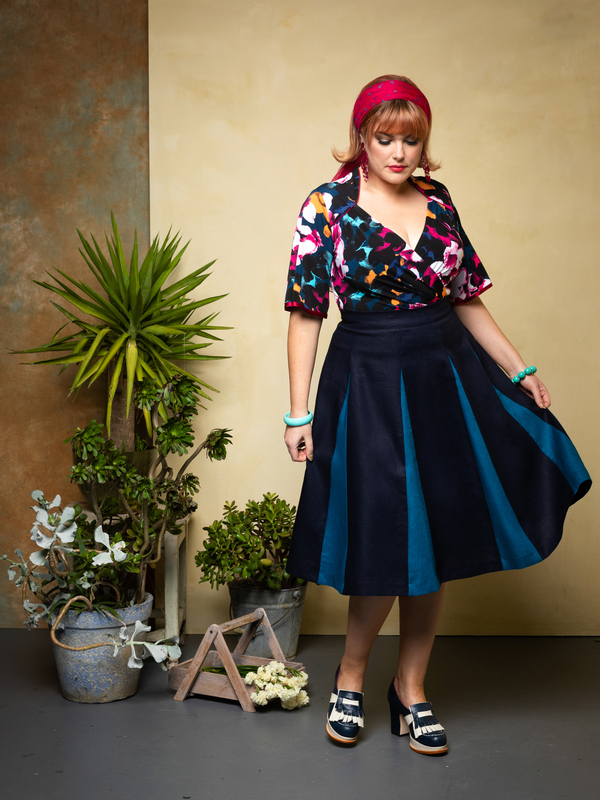 Lulu is wearing a beautiful colour palette of jewel tones in this striking ensemble. She is wearing the Cardinale Slipover Top in LANTANA & Roman Holiday Linen Skirt in BLU/pavone. The jersey Cardinale Slipover Top is as comfortable as it it elegent. It can be worn over or tucked into a skirt or pants. The fully lined ROMAN HOLIDAY SKIRT is made from a beautiful linen, making it a wonderful garment to wear when the weather heats up.